If your organization is multi-campus, you can designate members, groups and tags by campus. First add the required pages and modules. Follow the below steps to add the required pages and modules. Keep in mind new pages inherit modules of the parent page so you can either remove the module or simply change to the required module for the respective page. 1. From the Administration menu, click the Pages option located under the WEBSITE heading. 2. Select Home (Portal 1). 3. 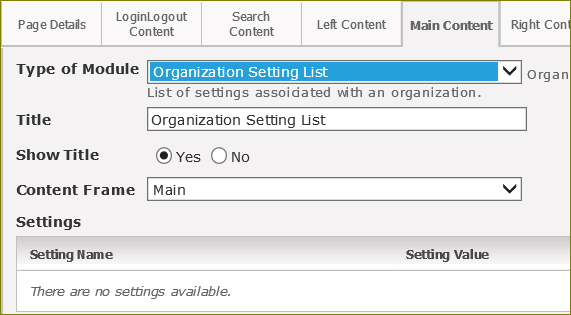 From the Administration menu, click the Organization option located under the CONFIGURE heading. 4. Select the Child Pages tab. 6. From the new Organization Detail page, select the Child Pages tab. 7. Add two more pages, one for Organization Settings and one for Campus. Mark both pages to not display in navigation. Now we work back through the page tree and edit modules and modules settings for all new pages. 8. Select the Main Content tab of the Campus page. 9. Change one of the inherited modules to the Campus List module. This module has two module settings to set. Person Detail page should be set to the Person Detail page (7) and Person Popup Search page should be set to the Popup Person Search (single) page (116). 9. Click the Update button. 10. Select the Main Content tab of the new Organization Settings page. 11. Change inherited modules to the Current Organization Details and Organization Setting List modules to this new page. 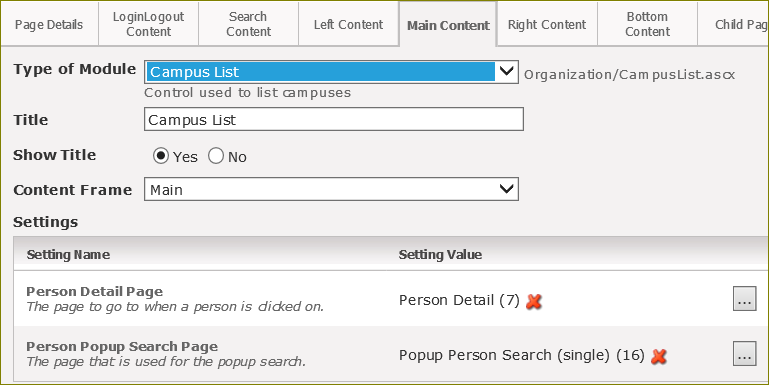 The Current Organization Details modules have one setting, which should be set to the Popup Person Search (single) page (16). The Organization Setting List has no module settings. 12. Go to the Main Content tab of the Organization Details page. 13. 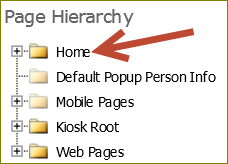 Replace any inherited module with the Pages as Tabs module. Delete any other modules from this page. 14. Add the new Organization Settings and Campus pages. 15. Click the Update button. 16. Select the Main Content tab of the Organization page. 17. Replace an existing module with the Organization List module. This module has one setting that should be set to the new Organization Details page. Page numbers will vary. This page should display in navigation. 19. Verify the page structure.